I have been making these cookies for years and it always comes out perfect. 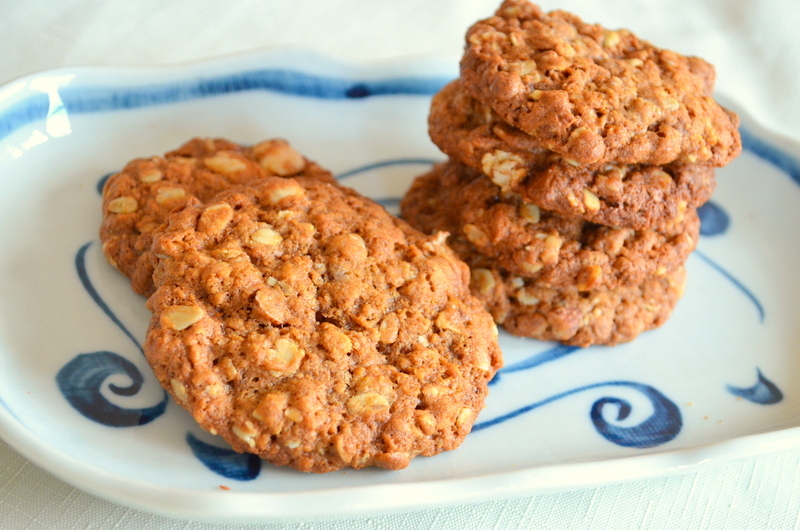 Brown sugar gives an extra flavour and depth of colour to these cookies. You can add nuts or raisins if you wish, but I like it to keep it plain and simple. Sift together plain flour, baking soda and cinnamon powder and keep aside. Whisk butter and brown sugar until creamy. Add egg and vanilla extract and whisk well. Add the sifted flour mixture and mix well. Add oats and mix well. Drop by rounded tablespoons on to a greased baking sheet. Bake for 15- 20 minutes .